Ok so I am A totally crazy about cookies. There are loads types of cookies like fortune cookies & chocolate chip ones, but any other way I am still a cookie monster. Cookies were made in Germany in German the name cookies was 'keoekje' means 'little cake'. Cookies were made by accident. 95.2% of Americans eat cookies or keep some in their house. There were some projects that were close to cookies in the seventh century in Persia, which is one of the countries to have sugar. Unfortunately, a chocolate chip cookie has 140 calories (which might be the reason why I'm fat). So my favourite fictional character because he is a total freak & crazy about the cookies as I am. As you might have seen a familiar face in a t-v show in Sesame street, which I personally have never watched the t-v show, because I'm not interested in kiddy t-v shows, which I think is kind of sad -_-. 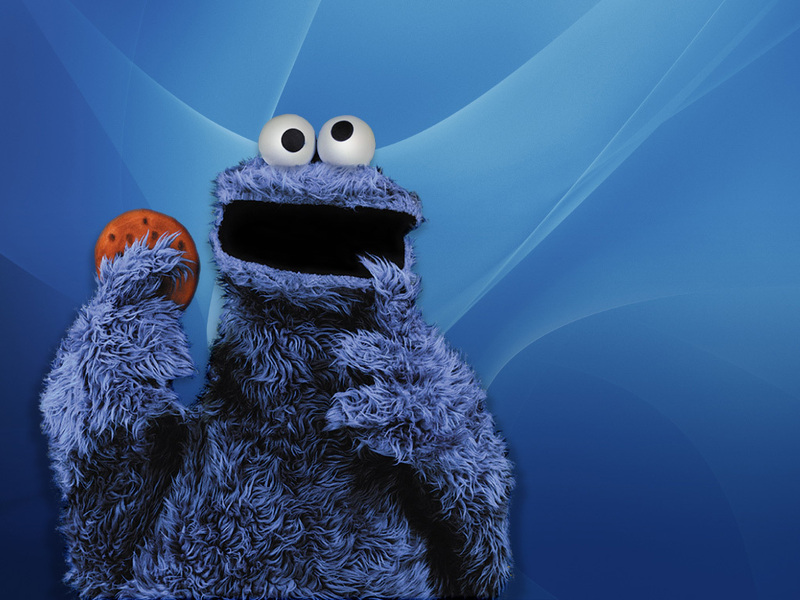 Btw: I'm going to get the poster, which is pretty epic "_"
I like cookies. I wish I could be a cookie monster.